It’s 2017 and the number of cars that come with a manual transmission is falling by the wayside. There’s also a new Toyota Supra coming—which will most likely only have an automatic. You didn’t think there would be a manual offering, did you? Oh, you did. That’s sweet. 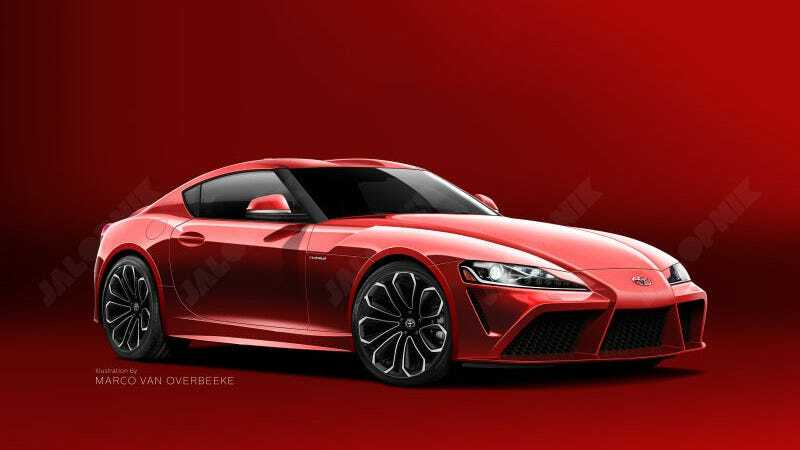 The word from Autocar is that the new Supra will allegedly have a hybrid four-wheel-drive setup and a BMW automatic gearbox. It cites unknown sources as saying that because the car is a hybrid, “it will likely be offered exclusively with an automatic gearbox.” Sorry, purists. And it would make total sense if we’re to believe the hybrid bit. Besides the Honda CR-Z and the Connaught Type-D GT, there really haven’t been any other hybrids with manual transmissions. Plus, the Supra will occupy Toyota’s performance car segment. You can bet Toyota’s going to slap it with that automatic to make sure it’ll lay down the best times every single time. Leave the fun and the gear-rowing to the Toyota GT86. We’ve reached out to Toyota for comment and will update if we hear back.